Kuala Lumpur, 1 August 2013 – The Society For Prevention of Cruelty To Animals (SPCA) Selangor is organizing Rent for Hope on 3 August at Central Park Avenue, One Utama, from 3.00pm to 6.00pm, where public are encouraged to get to know the dogs, get closer, play and interact with the dogs and get a “feel” being a dog owner. 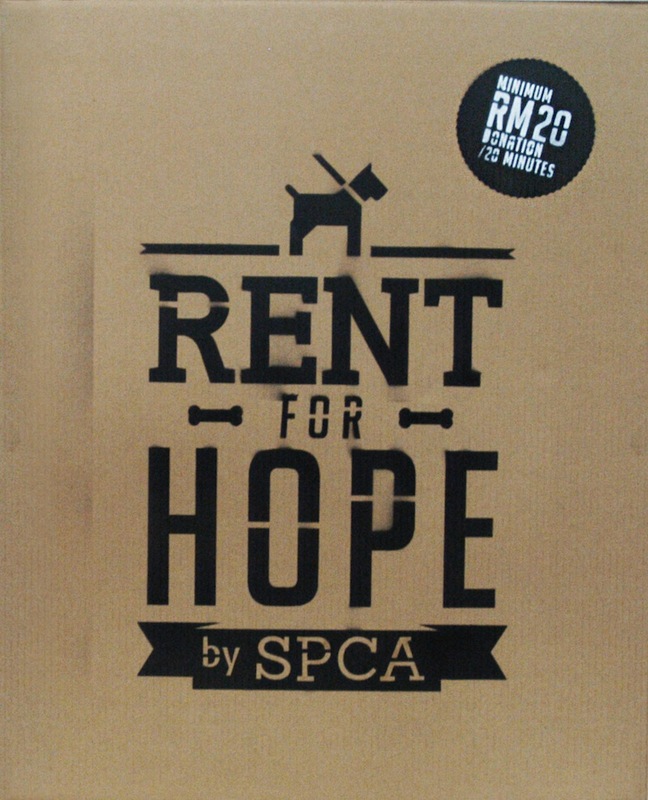 SPCA Selangor was established in 1958 as an animal welfare charity registered with the Registrar of Societies. SPCA Selangor has been on the current premises for 53 years in its present state, in action against animal cruelty and advocating for more humane and more sustainable and a higher standard of care for animals in Malaysia, encompassing companion animals, animals in captivity (zoos), laboratory animals and recreational animals, not only in Selangor but in Malaysia. The SPCA Selangor is extremely grateful that the Selangor State Government has recognized SPCA’s contribution to animal welfare and granted SPCA title to the current premises that sit on 2 acres. With approval to build imminent, SPCA Selangor will finally be rebuilt, with lush and magnificent trees that will be kept as an integral part of the new ECO SPCA. The new premises while enhance the living standards of our animals, incorporate Adoption and Surrender Counseling rooms, a big and modern Humane Education Resource room, proper quarantine areas, serene post-operation rooms and other facilities. 1. The Society For Prevention of Cruelty To Animals (SPCA) Selangor is an NGO which serves Selangor and The Federal Territory of Kuala Lumpur. 2. SPCA Selangor was established in 1958, with the aim of protecting defenseless animals and alleviating their suffering. 3. The SPCA does not receive any government funding, relying entirely on donations from the public to support its services & activities. 4. The SPCA Animal Shelter & Adoption Centre at Ampang Jaya temporarily houses 300-350 unwanted animals at any one time while seeking new homes for them. The animals are made up of surrendered pets, rescued cruelty-case animals, strays or abandoned animals brought in by Good Samaritans. 5. The SPCA would like to work closely with the people of Malaysia to elevate the welfare standards for Malaysian animals – ensuring owners responsibly neuter their pets, provide adequate food, space, exercise, care and medical attention, as well as encouraging them to be responsible neighbors.